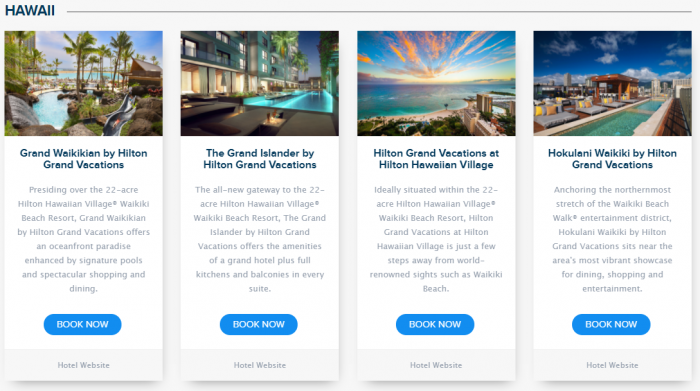 Hilton Honors has launched new promotion to celebrate the 25th Anniversary of the Hilton Grand Vacations-brand. Members that book this offer can save up to 25% and earn 2,500 bonus points per stay (minimum of two nights) for up to six stays and 15,000 points. Not sure how the bonus points would be limited to just six stays because they seems to be tied to the rate plan booked and no registration for this offer is required? I have never actually stayed at Hilton Grand Vacations brand that appears to be some sort of timeshare (don’t ever buy one!) product that also functions as a hotel. The Diamond benefits appear to be rather limited. Subject to availability. Offer valid at participating hotels in the Hilton Grand Vacations portfolio for eligible stays completed between September 1, 2017 and December 31, 2018 (“Promotion Period”). A minimum stay of 2 nights is required. 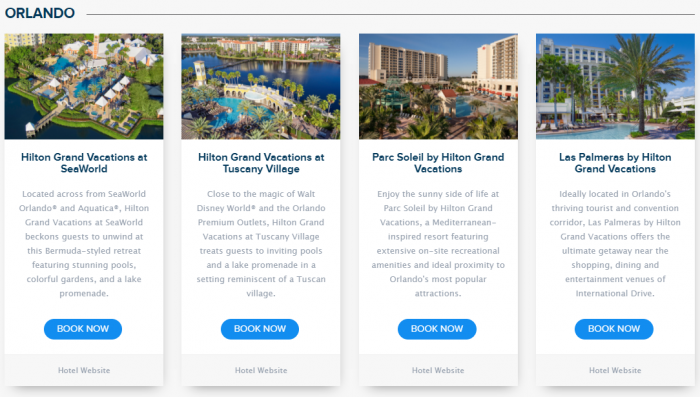 Hilton Honors members will receive 2,500 Hilton Honors Bonus Points per stay up to a maximum of 6 total stays or 15,000 total Hilton Honors Bonus Points during the Promotion Period. 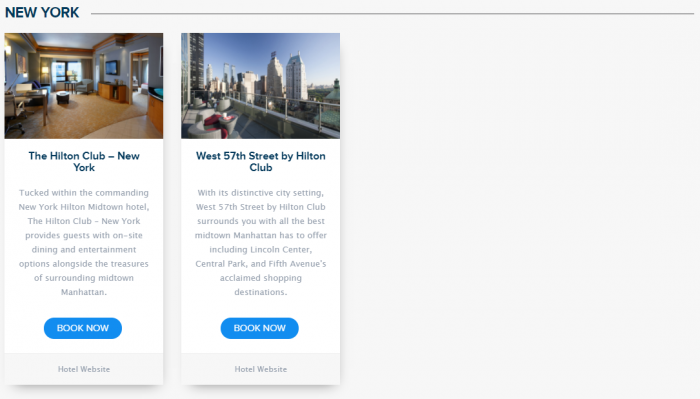 Hilton Honors members will receive the Hilton Honors Bonus Points only for stays completed during the Promotion Period regardless of a check-in date before the Promotion Period begins or a checkout date after the Promotion Period ends. Bonus Points earned on Base Points do not count toward elite tier qualification. Please allow up to eight weeks from completion of your stay for points to appear in your Hilton Honors account. Rates do not include taxes, gratuities, incidental charges or resort fees (if applicable). Each hotel’s change and cancellation policy varies. Please contact the individual hotel to confirm their policy. Offer components are non-transferable or redeemable for cash, and cannot be applied toward future stays. This offer may not be combined with other select promotions, offers or discounts and is not valid for groups. If you are making this reservation by phone, please call our Internet Customer Center at +1-800-HHONORS or view a complete list of Hilton Honors Reservations phone numbers. When booking by phone, please request “HGV 25th Anniversary” or Plan Code P9. You must be a member of Hilton Honors to take advantage of this exclusive opportunity. Hilton Honors membership, earning of Points & Miles and redemption of points are subject to Hilton Honors Terms & Conditions.